One of the reasons I love bicycle touring so much is that not many people actually do it. 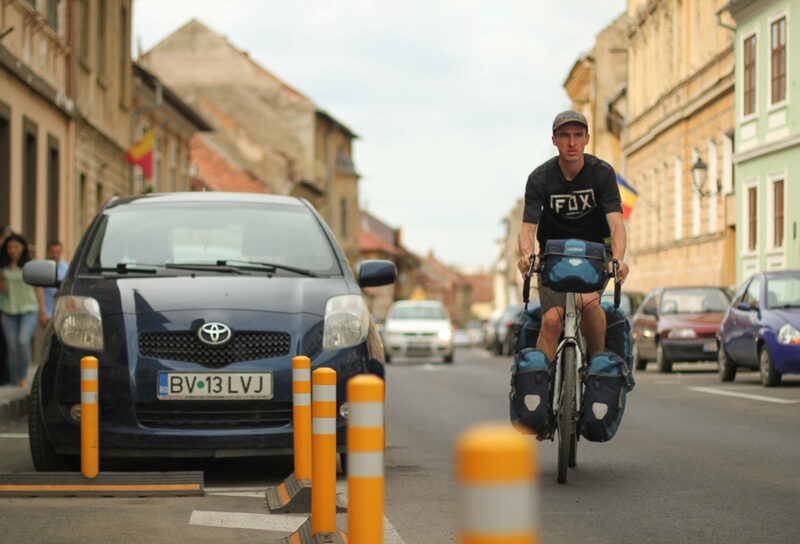 Being a bicycle traveler makes me unique… and I like that! My bicycle travels have taken me to places and provided me with opportunities few people will ever experience in their lifetime. Traveling by bike is a freeing experience… and that’s why it ticks me off when people try and tell me it needs to be done a particular way. As far as I’m concerned, there are no rules with bicycle touring! When I did my first bicycle tour at the age of 17, a lot of the older cyclists made fun of me because of the clothes I was wearing, the gear I was using, and the bike I was riding. Even though we were traveling the same distance on our bikes each day, I got the impression that they thought they were better than me because they had more cycling experience, more money in their pockets, and better touring equipment. In many ways, I felt like they were saying, “Our way of traveling is better than your way of traveling.” And frankly, that just made me mad! I realize that I offer a lot of advice on this website that may not jive with the way you see yourself traveling in the future. I realize that! But I’m simply throwing out ideas… and I don’t expect you to do everything I am suggesting. Not at all! Actually, what I am trying to promote here on BicycleTouringPro.com is a place where travel philosophies are openly discussed and shared. I will often times share the way that I travel so that you can decide whether or not that means of travel is right for you. For example, some people like to camp while others would never dream of sleeping on the ground. Some people like the community built around hostels, and others would prefer the comforts of a bed and breakfast. Some people will ride with a trailer. Others will use panniers. Some people will have an expensive custom touring bike with all the add-ons. Others will use a $69 Walmart bike. Some will cook their own meals. Others will eat every meal in a restaurant. Some will use an odometer. Others will ride with a GPS. Some will travel with a laptop. Others won’t even carry a camera. Some will travel alone. Others will ride in a large group. Some will ride for months on end. Others will go for no more than three days at a time. Some will spend thousands of dollars. Others will spend less than a hundred. Some will stop and smell the roses. Others will ride for distance. There is no “correct” way to travel by bike. How you travel is ultimately up to you. You shouldn’t let the ideas and impressions of others influence your travel goals. Decide how you want to travel… and don’t let anyone stop you from making your bicycle touring dreams come true! 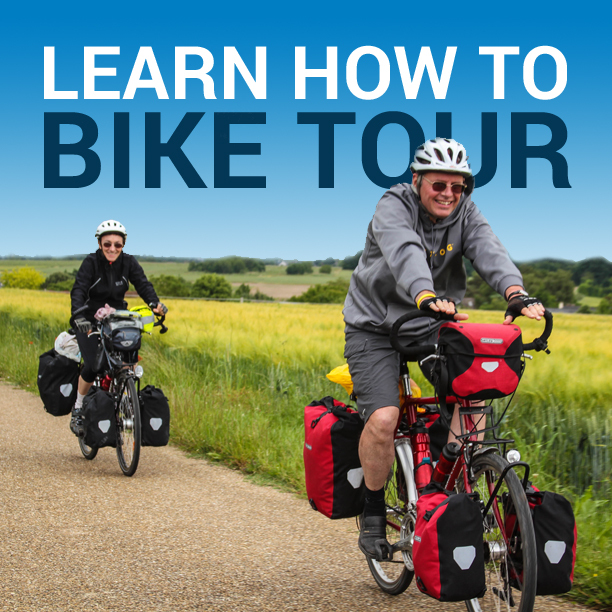 This entry was posted in Bicycle Touring Pro Articles, Featured How-To Articles, Lifestyle, Main Articles, Planning and tagged different ways to travel, how to long distance bicycle tour, how to long distance travel, how to travel, how to travel long distances on a bike, travel criticism, travel philosophy. Thank you Darren. This makes me feel more comfortable when I tell my husband I want to eat out or stay in a hotel after a long day of riding. I believe, especially when riding with a partner, that communication is key. Hey man, thanks so much for mentioning my article. I appreciate that, and I like what you’ve added here. I agree. No rules RULES! You my friend are like a nice cool breeze blowing in my face reading you web site.what I find in you articles are very true, after all touring is to be pleasurable not putting up with attitudes. I tour to get away from attitudes and if they dont like what I am wearing or how I am doing it to hello with them. Michael, Thank you for your comment. I agree. I think there is way too much negative talk in the cycling world. Just yesterday I made a comment on a Facebook group about how I wish I didn’t have to wear a helmet when I rode my bike… and I’ve been getting attacked from the group ever since – even though I said I wear a helmet 99% of the time. It’s things like this that make me (and others I’m sure) turn away from cycling. We need to be more open to different ideas and philosophies. I’m glad this article resonated with you. This philosophy can apply to almost every human activities. I like to listen the various points of view snd choosing what is good for me. It is different than not listening at all what the others are saying. Also, as we get older, the way see things or the way we do things is changing.